DANGEROUS CROSSROADS: Will the U.S. Bomb Iran From Georgia? Will Iran be bombarded from Georgia? The experts are sure that precisely Iran will become the main issue of discussions in Washington as the US intends to use Georgian territory for actions against Iran. And it is not accidental that the US provide much money for military airports in Vaziani, Marneuli and Batumi. Today, on January 30 Georgian President Mikhail Saakashvili will meet his American counterpart Barack Obama. According to experts, Georgia’s possible participation in the military operation against Iran will be the main issue of the discussions. Mr. Saakashvili seems to be ready to make Georgian territory available for the conflict against Tehran and he will explain its readiness with the necessity to be protected from the “Russian military danger,” Russian kommersant.ru writes. Anyway, many military experts are sure that Georgia is unable to refuse to assist the US if the latter wants it. “Of course it will be more comfortable for the Americans to bombard targets in Northern Iranian partly from the South Caucasus. But Georgia has no common border with Iran and Armenia and Azerbaijan will hardly agree to provide the sue of their territory,” editor-in-chief of the Arsenal military-analytic magazine Irakli Aladashvili said. Georgia is a valued partner and interest in Georgia is very great, said US Secretary of State Hillary Clinton as he welcomed President of Georgia Mikheil Saakashvili on Wednesday. `Georgia is a valued partner. They are actively participating in Afghanistan, where Georgian soldiers are showing great courage and professionalism. We are pursuing a system of consultations to determine the way forward on further trade and investment. There’s a lot of work going on in…defense and security cooperation…,” Mrs. Clinton said. In his turn Mikheil Saakashvili thanked the Secretary of State for the great support which Georgia has always had from the side of the United States. agreement, nobody could have imagined that Georgia would ever start to qualify for that a few years ago. The next level of defense cooperation – and we are proud to serve with you in Afghanistan – was unimaginable a couple of years ago,` Saakashvili said. The meeting was held at 3 p.m. local time and the president and the Secretery Clinton made statements for media. The U.S. Department of State has published a press release which says that a new website on the U.S.-Georgia Strategic Partnership Commission has been launched. “The site presents important information on the work of the Commission, including statements from senior U.S. and Georgian policy-makers and information on the efforts of the bilateral working groups on democracy; defense and security; economic, trade, and energy issues; and people-to-people and cultural exchanges. As senior U.S. and Georgian officials lead annual working group meetings to review commitments, update activities, and establish future objectives, the website will outline publicly the commitment of both governments to make concrete progress on our mutual goals,` the press release says. The embassy of the United States to Georgia has also commented on the innovation. The statement says that the U.S.-Georgia Strategic Partnership Commission website will publish the specific steps made by both governments toward common goals. Tbilisi: Georgian Defense Minister, Bacho Akhalaia, met with U.S. Secretary of Defense, Leon Panetta, in Brussels on February 2 on the sidelines of a meeting of defense ministers from NATO members and 20 partner states, the Georgian Ministry of Defense said. It said in a statement that the meeting was “a follow up to the agreement reached at the meeting between President Saakashvili and President Obama at the White House” on January 30. The U.S. has “expressed its readiness to extend assistance with regard to enhancing Georgia’s defense capabilities, which implies new levels of cooperation, deepening existing relations in key areas and implementation of specific training and assistance programs,” the Georgian MoD said. “We are talking about an absolutely new phase of relations, which means that if until now we were focused on military training and military assistance, which was basically directed to our units participating in the ISAF operation, from now on we will have the opportunity to think about those types of assistance which will be focused on the development of the entire armed forces that will ultimately contribute to the strengthening of the country’s self-defense capabilities,” Akhalaia said. Tbilisi: Georgia’s Defense Minister, Bacho Akhalaia, is in Brussels where defense ministers from NATO members and 20 partner states are meeting on February 2-3 to discuss a range of issues, including Afghanistan. 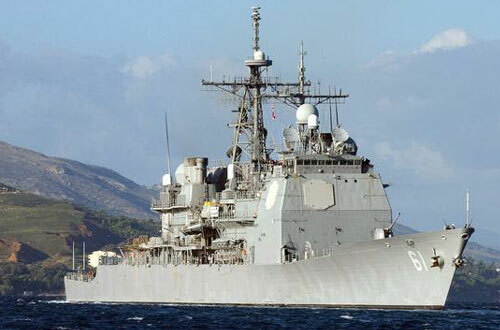 Akhalaia is expected to hold bilateral talks with U.S. Secretary of Defense Leon Panetta on the sideline of the defense ministerial meeting, Georgian MoD’s spokesperson Salome Makharadze told Civil.ge by phone from Brussels on February 2. Georgia’s Ambassador to the U.S., Temur Yakobashvili, said after the meeting between the U.S. and Georgian presidents in Washington on January 30 that it had been agreed to hold consultations, including between the Georgian Defense Minister and the U.S. Defense Secretary on bringing cooperation over “Georgia’s self-defense capabilities to a new level”, which would help Georgia “to better defend” itself. Tbilisi: Russia’s Deputy Defense Minister, Anatoly Antonov, told journalists on February 2 that U.S. arms supplies to Georgia, if such a decision had really been taken, would destabilize the Caucasus region. “We are strongly against of any kind of arms supplies to the Saakashvili’s regime. If such a decision was taken, it will destabilize the situation in the Caucasus,” RIA Novosti news agency reported, quoting Antonov on February 2. Since the meeting between the Georgian and U.S. presidents in the White House on January 30, Georgian senior officials including President Saakashvili stressed a number of times that an agreement had been reached to deepen defense cooperation.